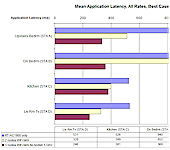 Discussion in 'Routers' started by jasons6930, Jan 20, 2019. 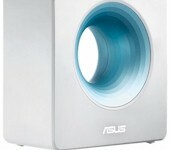 Currently running the Draytek, but have an opportunity to grab a 260P at a reasonable price. Would the 260 be better in overall performance? I am running 2 x WAP571 access points, so i could use that with these, and re configure the Draytek to act as modem only. the CISCO RV3xx series is much more stable and capable. i would skip the RV2xx unless you just have to use it. My reasoning behind the 260P was the poe element, and not needing so many ports. I was contemplating the 345P but at almost double the price, it's a bit out of reach. Is there anything in particular that goes against the 2 series? I have hunted around online and there are virtually no reviews of them which i admit, is a bit strange. I don't need any specific enterprise features. Just a good solid router! as modem, draytek, draytek make very good modems which are also solid routers for those that dont need features. I still advice against the cisco RV because of the SoC and im still not convinced about its firmware stability. For the $275-300 you'd throw at a 260P, you could get a faster and much more configurable standalone router and push PoE with a separate 8-port switch. I understand the appeal of everything in one box, though, and for that the RV series isn't so bad. Just another way to solve the problem. When it comes to modems however draytek makes one of the best multi DSL modems. For instance if you want to load balance 2 DSL connections draytek will do it well as it integrates multiple modems. If one is considering the cisco RV, i'd rather ubiquiti. I was running a Ubiquiti ERPOE-5, along with my switch, modem, and two 2702 AP's with a controller, but i really wanted to condense all the boxes a bit as we have had a change around in layout. Do you have a router recommendation? SoC is the central chip they use, its entirely an entire computer on a chip including the CPU, making it cheap and easy to design computers. routers are also computers. Pick between whichever fits your needs best. 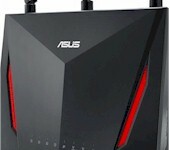 Draytek is better on the modem so if thats what you want to focus on then get that, otherwise draytek does not offer any advantage over asus for example. As i mentioned im still not convinced in regards to the cisco RV and i havent yet seen a good review from thiggins where the cisco RV has all its VPN features and other basic features working properly yet, so i would not put the cisco RV as any better than a consumer router. Draytek i would say the same too, it may be known as reliable, but it could be lacking in features/performance. I have used Cisco RV routers for many years with great success. I am currently running a Cisco RV340 router for the last couple of years. My daughter has my old Cisco RV320 router at her small business which works great. The nice thing about the Cisco RV routers is they just run. They never require reboots. The Cisco company keeps up with security very well and publishes problems. Cisco releases firmware as needed to keep up security and other issues. The Cisco RV320 router is an old router which still works and has support. IF you look around I bet lot of the routers which came out around the same time as the RV320 router are no longer actively supported. I could say the same about mikrotik. The important question is how do they fare when you start using more features lots, stuff like QoS with configurable firewall, VPN, RADIUS/hotspot,... With mikrotik this featureset is huge but i use it as much as possible and have never needed a restart bar updates and power outages. 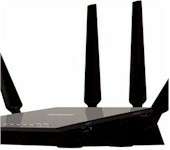 After browsing a bit more I’m maybe thinking of going for the edge router 4. So, leave the 2862 but run as modem only, er4 and then an 8 or 16 port unmanaged Poe+ switch my Linksys. I think the ER-4 is a solid choice. If you can swing it, I would do a web-managed switch, as that would allow for much greater traffic control, if you ever want to do LAN-level QoS, VLANs, IGMP snooping, etc. If there's really no interest there, then you could get away with unmanaged. I'm sure most any TP-Link, Netgear or other commodity L2 box would work, but I still have a bias for HPE, especially in LANs with mixed-vendor gear. Even if their L2 non-Comware and non-Aruba firmwares are coming from basically the same Linux template as most of the commodity brands, HPE's boxes tend to interplay and push packets to full capacity more seamlessly than then most other stuff (in my somewhat sizable but still limited experience), and that's my take on it, for what ever it's worth. So for managed, I'd go 1920S 8G PoE+ (JL383A) for $200, or for unmanaged 1420 8G PoE+ (JH330A) for $135. Again, you can find stuff for half the cost that will work, but it wont have an NBD no-questions asked lifetime replacement, and it likely won't have the build or the QA, either. Most could care less when it comes to an L2 box for home use, but I guess I'm a nerdy exception. Ok great, i'll check those out! 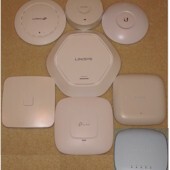 I think after looking at those and various options, i might stick with the Linksys for now. I don't need anything as involved as a managed switch as its only running a few devices, and three POE AP's.